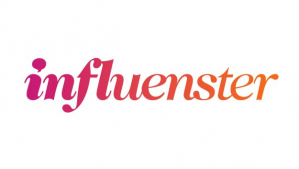 Flip Out Mama: Are You An Influenster? Hey Guys! Hope you are having a great Sunday! I just wanted to drop in for a second to tell you guys about this super cool new site that I just discovered: Influenster! (Actually, it's not too new, but I am just behind on the times LOL!) I was very excited to get an invitation from Influenster to join their team! Influenster is a really cool site where you can use your online social media presence to earn rewards and try out cool new products, right up my alley!! I am really excited to see what this site has in store for me! What about you? Are any of you Influensters too? Hot Gift! Dragons Riders Of Berk DVD! Hot Gift! RingStix plus GIVEAWAY! Hot Gift! I See Me Personalized Children's Books! Hot Gift! Reebok Shoes plus GIVEAWAY! Holiday Gift Guide: Uncle Milton John Deere Toys! Hot Gift! La Dee Da Dolls! A Must Have WordPress Plug In! Great Products From Lazy Day Cottage! Hot Gift! Nano Speed Racers! Hot Gift! Fibber Game From Spinmaster Games! Hot(test!) Gift! Air Hogs Battle Tracker! Great Social Network Site For Kids! Hot Gift! Made By Me Activity Kits! Hot Gift! Teething Bling Jewelry By Smart Mom! Hot Gift! Xploderz Blasterz Guns! Hot Gift: Boy Craft Construction Vehicles Kit! Cool Baker Cake Pop Maker Review! Hot Gift: Chulita's Famous Spices! Hot Gift: Custom Laptop Decals! Hot Gift! Boxes By Annette! Hot Gift! Common Stitch Tee Shirts! Hot Gift! Nenuco Baby Dolls! Hot Gift! Hand Stamped Key Chains! Melissa & Doug Terrific Twenty List and Giveaway! Hot Gift: Sports Illustrated For Kids! Hot Gift: Scentsy Plug In Warmers! !